A great tool for any craft artist needing help with positioning soft stuffing or small objects, and the scissors function allows snipping too. 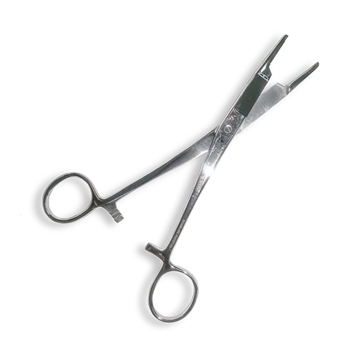 Replace the blades of your Piranta or Baracuta knife safely and avoid accidents, with our 6" forceps/scissors tool, especially useful if your hands are cold or wet. 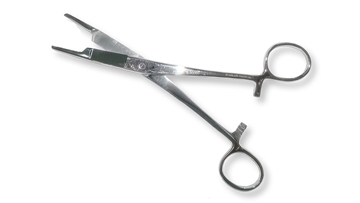 The scissors part of this tool is great for cutting fishing line or other light lines. Stainless steel construction. 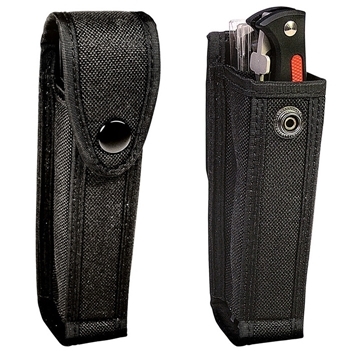 Carry your Piranta and up to 12 replacement blades in this rugged black nylon knife holster. Features two pockets inside, one for your knife and one for your blades (see inset photo). Wide belt loop at the back will keep your Piranta close at hand and secure. Knife and blades sold separately. 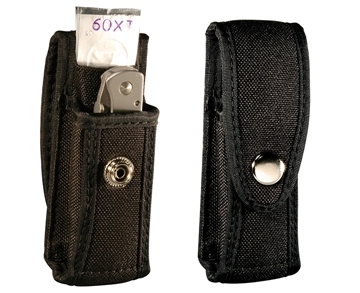 Carry your Baracuta and up to 5 replacement blades in this rugged black nylon knife holster. 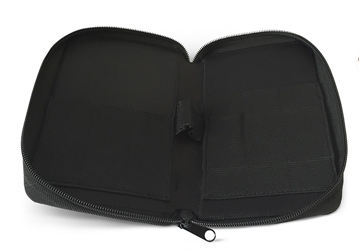 Features two pockets inside, one for your knife and one for your blades. Wide belt loop at the back will keep your Baracuta close at hand and secure. Knife and blades sold separately. 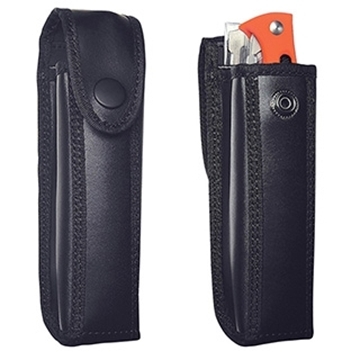 Carry your Piranta and up to 12 replacement blades in this rugged black leather knife holster. Features two pockets inside, one for your knife and one for your blades (see inset photo). Wide belt loop at the back will keep your Piranta close at hand and secure. Knife and blades sold separately. Carry your Baracuta and up to 5 replacement blades in this rugged black leather knife holster. Features two pockets inside, one for your knife and one for your blades. Wide belt loop at the back will keep your Baracuta close at hand and secure. Knife and blades sold separately. The perfect holster to hold your Havalon collection. Each holster has slots for Baracuta and Piranta blades. Elastic center band easily holds any Havalon knife in place.